A retired smuggler recently turned new recruit in the Rebel Alliance offers a substantial reward (5,000 credits) for repossession of his family’s starship, the Midnight Hawk, located in the Desol System. Rebel Alliance Command has is offering a sizable bounty (5,000 credits) for the capture of an Imperial operative, hiding in the newly established colony of Ridellia. They want him alive; no disintegrations. The day and time of the next Heist in the Edge of the Empire Play-by-Plus megacampaign will be Saturday April 20th, 11:00am (Eastern Standard Time). Email Galaxy Master Ross and tell him that you are ready to accept your destiny on the day and time of the Heist. Circle Casey Steven Ross on Google+, join the Triumph & Despair Google+ Community, and install the Google+ Hangout EotE Dice Roller Tools. If you were not part of the Crew for Heist I, you may sign up now. If you were part of the Crew for Heist I, you may sign up now and be placed on a waiting list. After one week of signups, Heist II will then open up to the Crew from Heist I. Once you’re confirmed for the Heist, begin character creation (if needed), roll one Force Die and post the result publicly to the Google+ Community. The Galaxy Master has made Knowledge (Underworld) and Streetwise checks to generate a series of potential Heists that the Crew must choose from. The Heists will be revealed once the Crew has been selected. 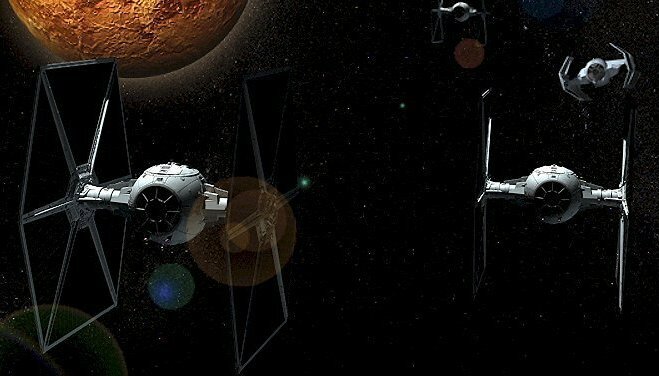 Failure by the Crew to choose a Heist by no later than Saturday, April 6th 2013 will result in the Galaxy Master choosing the least profitable and most dangerous Heist. Not too long ago, I started a “play-by-post” game of Star Wars Edge of the Empire here on Triumph & Despair. I grabbed a handful of some really great gamers whom I’ve had the pleasure of gaming with before, and with the play-by-post format, but something just didn’t feel right. Something felt off. There’s something special about live play that simply cannot be captured in the play-by-post environment. For me at least, play-by-post simply can’t spark the same kind of outlandish creativity and wacky hijinks that I’d like to see in my roleplaying games. Then, destiny rolled my way and new tools came out this week, by a generous fan here, that integrate Edge of the Empire dice into Google+ Hangouts. The path forward has been shown. I propose a massively multiplayer online game of Star Wars Edge of the Empire with the events of one adventuring session having dramatic impact and interaction with subsequent sessions for a very large pool of potential players. I’m stealing the term used by the video game industry and using it for my own purposes, for the dreams I had as a teenage boy at the dawn of the internet when matters such as “profitability” and “server maintenance” never entered the lexicon of the game. The campaign will follow the dramatic adventures of the YT-1300 Corellian freighter Lucky Hand and her Crew of hundreds, as begun in the play-by-post Heist I. This ship is the constant thread linking everything together, with each self-contained story (called a Heist) pulling from players across the world to shuffle up her Crew as the needs and availability of the flesh-and-blood players demand. Profits from each Heist will be split evenly by the party, and can be used anytime in between Heists to purchase new equipment or starship upgrades. Experience Points gained during a Heist are shared by the entire Crew, including even those whom have not yet signed on. The Knowledge [underworld] and Streetwise skills of the previous Heist’s Crew will determine the details on the variety of Heists the upcoming Crew may choose from. Once a Crew is selected, each player rolls a Force Die. A result of OO informs the Galaxy Master that the next Heist will advance that character’s Dramatic Arc. Characters who complete their dramatic arc will be retired as permanent NPC allies. Players with none or a small number of completed previous Heists will be allowed to sign up for a Heist 1 week earlier than others. After that, the Crew will be selected as the first five players to commit to the event’s stated date and time. The small freighter Lucky Hand blasts off from the cavernous cargo hold of the Century Eagle, blue-whites engines burn hot and jury-rigged sensors punch through the soupy red nebula of the Ytha’ak Star System. Where once was a full load of high-powered rifles now is an empty hold. A slime-covered creature from the Yir-Tangee Cluster, Karlo, is now safely aboard, extracted away to safety by the decree of Rebel Alliance Command. The gas cloud is punctured by the Lucky Hand’s escape, the bold and decisive actions of its Crew leaving the sensor-blind Imperial convoy none the wiser. But the Crew isn’t quite out of the woods yet. At Medium Range, sensors detect a grave sight. Computer displays show two flights of four TIE Fighters, small patrol ships designed to be easy to produce, ultra-fast and very agile. A crackling sound breaks over the radio, a stern male voice demanding to know the registry of the Lucky Hand and its purpose for being in this star system. The Lucky Hand has just drifted out of the nebula at Speed 1. 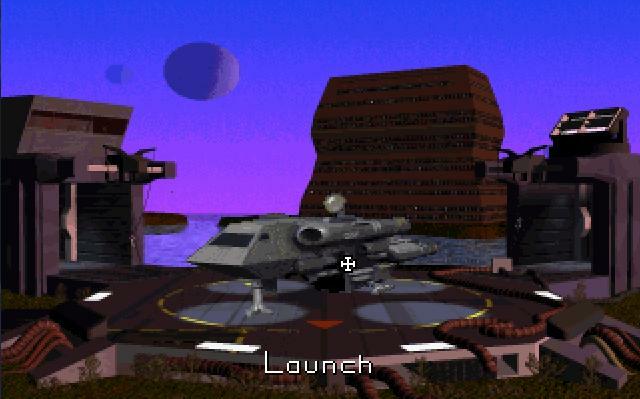 To leave this star system (and end the heist successfully), it must leave the immediate gravitational influence of any planetary bodies by moving to an area of space at Extreme Range, as well as complete the hyperspace calculations needed to jump to lightspeed, requiring a cumulative 5 Successes in Astrogation. Crew Member Typhor Pnomm is considered to be Co-Pilot, and grants a Boost Die to all Pilot (space) checks on board the Lucky Hand. There are three paths out of the star system, listed in order of increasing danger: empty space, a light asteroid belt, and weaving through complex gravitational pulls of the gas giant planet Ytha’ak Prime and its many orbiting satellites, including the Ytha’ak colony. The Crew seizes the moment, running their illegal goods down through the corridors of Imperial Transport Century Eagle, now known to be a troop transport on its way to invade the Ytha’ak Colony. Communications on board ship have been destroyed by Rebel Alliance saboteurs and all external sensors are rendered offline from the effects of the local Red Ytterbium nebula. Chaos reigns, and our intrepid entrepreneurs hijack a tracked cargo sled to deliver their shipments of weapons to the Rebel Alliance, riding it into the dark heart of the Century Eagle. Multiple paths to their destination have been found. The Crew has chosen to bring the weapons shipment through a passageway guarded by a deadly battle droid, stationed here to cut off the Rebels’ escape. When the Crew arrives, they see that the passageway opens up to a larger space to their left, with service catwalks above. Automated security blasters have dropped from the ceiling in two locations, their lights blink repeatedly and their sensors scan hastily back and forth. 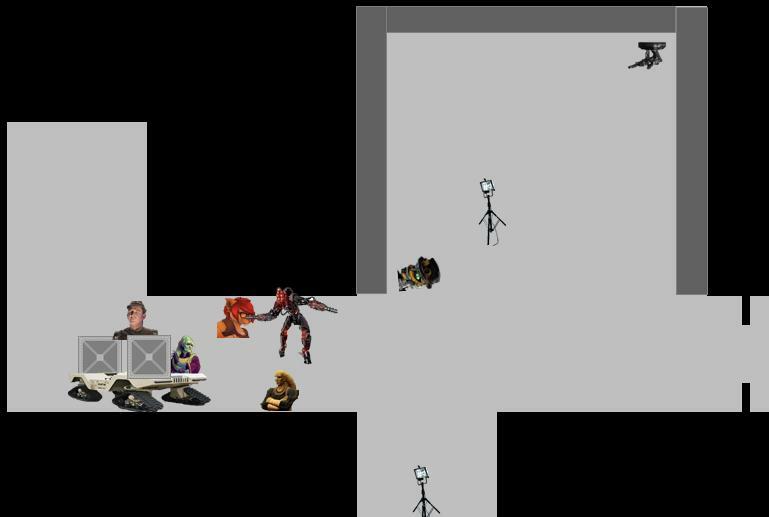 Two emergency lights are propped up on the floor, but they are turned off, creating a completely dark environment (two Setback dice). Lastly, a dull red light pierces through the darkness at the doors leading out of the area from a circular metal object affixed to each door. The battle droid, seen on the hacked security camera only a few moments ago, is nowhere to be found. The Crew are on board the Imperial transport Century Eagle on a smuggling run to deliver weapons to Rebel Alliance guerrillas headed to Ytha’ak Colony. The heist took a turn for the worse, the Rebel igniting an explosive to disable the ship’s communications systems while in the sensor-obscuring Red Ytterbium Nebula cloud. It has been revealed that this is no mere supply run, but on fact a hostile invasion force full of Imperial Stormtroopers! (PbP) HEIST I – Sabotage! Explosions rip through the heart of the Century Eagle! 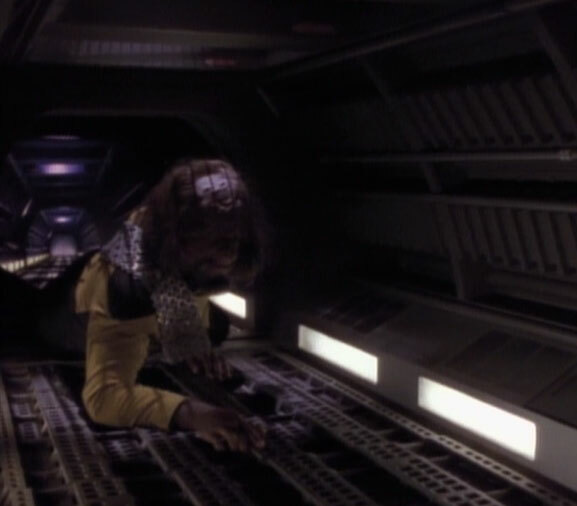 The hull creaks and groans under the strain, emergency lights flicker, and the force of the explosion shakes everyone off their feet! The Crew is split up, Lita off with an Imperial Officer and guards in the maintenance shops while the rest of the Crew are face-to-face with some hot stormtrooper on stormtrooper blaster fire!